When the holiday season approaches, people start their outdoor decorating. Lights fill the decor of many homes. If you hang lights from your roof or gutters, you probably need to use a ladder, which could be a dangerous activity. Here are some ladder safety tips that will keep you from becoming injured while decorating for the holidays. Check the Weather. 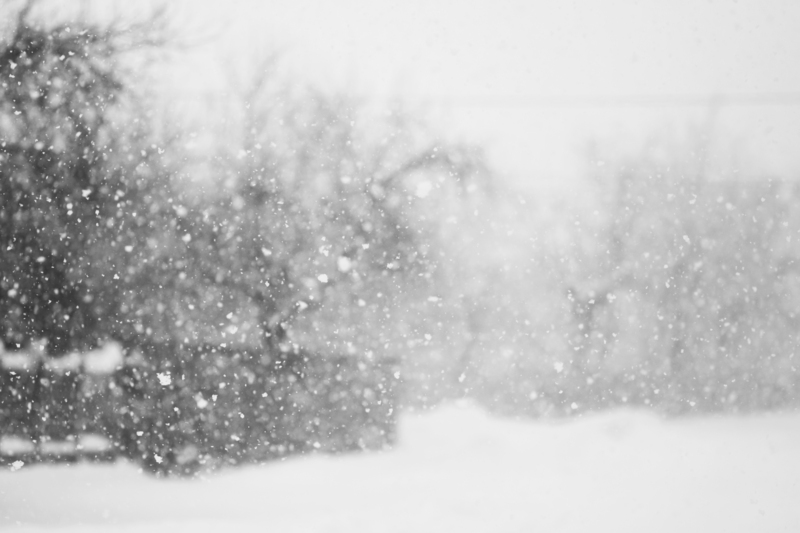 Before you go outside and hang holiday lights, you should check your local weather report. If it is very windy, you may lose your balance at the top of the ladder. Also, rainy or snowy conditions can make its rungs slippery. It is best to climb a ladder on a sunny and calm day. Inspect Your Equipment. 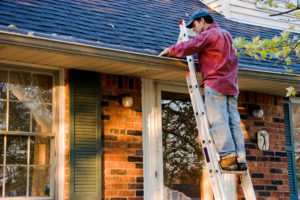 Most homeowners only rarely use ladders, and may only bring them out during this time of year. Before climbing, it is wise to inspect this piece of equipment to make sure it is safe. Choose the Right Size. Depending on your needs, you should choose a ladder that is the appropriate size. If you need to reach your rooftop, you will need a long ladder. It is advised to use one that extends at least three feet more than the desired height so it provides additional stability. Do Not Over-Reach. When you are on a ladder hanging lights and other decorations, you may find the need to stretch to reach a hook or far away spot. However, over-reaching can make the ladder kick out from under your body. This can cause serious injury. 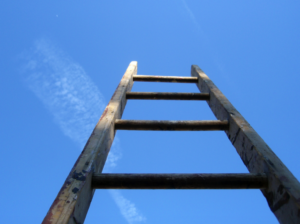 It is best to move the ladder to the area where you need it rather than reaching. Inform Your Family What You are Doing. If you are outside with the holiday lights, you need to make others aware that you are on the ladder. This is especially important if you are working near a door that may open and cause the equipment to topple over. Stay Away from the Eggnog. You should never climb a ladder while you are intoxicated. Your balance and judgment may not function properly. Many people hang holiday lights from their gutters. 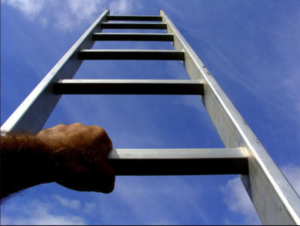 When spring rains arrive, you may be reaching for your ladder again. 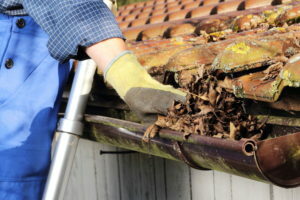 Cleaning these same gutters can be a tedious task. For more information about the convenience of the K-Guard Leaf Free Gutter System, contact us today. When it is the holiday season, it is customary to think of hanging lights both inside and outside the home. Holiday lights make a statement of your happiness and cheer to bring in the festive season. Holiday lights or outdoor lights can be strung up on trees, bushes and also along the roof of the home or over it.It can be most effective if you decide on a focal point for your hanging lights. 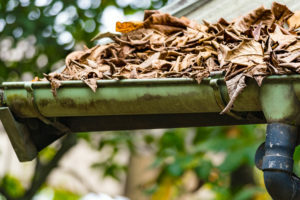 They can be along the roof lines or eaves, around pillars, posts, or along deck railings, inside windows and planters and all along your driveway and pathways. Space your lights so that they are at least one and a half feet apart. 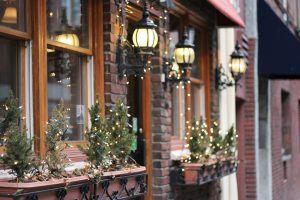 Safety requires being given a lot of consideration when you are putting up outdoor lights, as electricity can be a killer if it is carelessly used. You also need to make sure that any particular circuit that you are using is not overloaded, as this can lead to blown fuses, that can leave your home in darkness. Use LED lights as these can save you money in electricity bills. 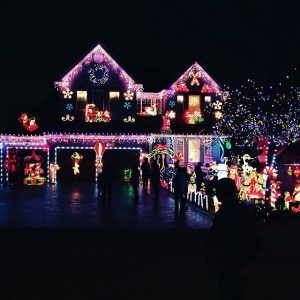 You can have holiday lights of different colors, which go to make for a festive air, and if you can install a system where the lights are blinking, it can add to the beauty of your hanging lights. Make sure that you use the right clips and other fasteners, especially when you are putting them up on a roof or the eaves. Do not use things like clothespins or staples and instead go in for light clips that will not add much to your budget. The wire used must be lengths that are not frayed or have breaks. This is especially important if you are reusing wires from the previous season’s lights. Take the right safety precautions when you are installing the hanging lights at heights, and make sure that you test all the lights before you put away all your gear. To avoid injury, always select the most appropriate ladder for the job. If you are unsure about which model is best, speak to a clerk at a hardware or home improvement store. Never attempt to exceed the ladder’s weight restriction. Most models have a load capacity telling you how much weight is appropriate. Exceeding this load can lead to accidents, as the ladder may give way, causing you to fall to the ground with no warning. 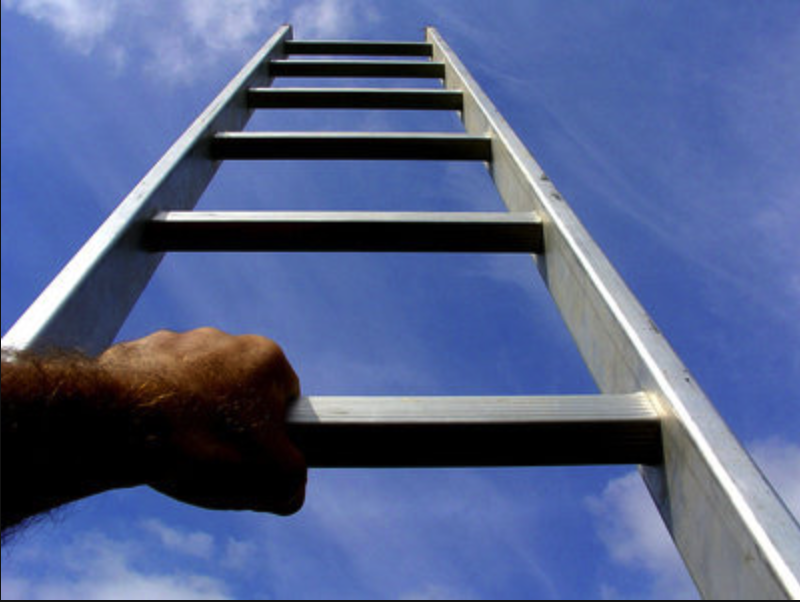 Included in some of the best ladder safety tips is something referred to as the “three point of contact climb.” When this technique is used, your chances of slipping or falling are significantly reduced. As you climb, descend or work, always make sure that at least three limbs at a time are in contact with the ladder. Taking both hands off the rails, even if you think you are standing firmly is always a mistake. Similarly, it is never wise to try to work with only one leg and one arm in contact with the ladder. If you must twist or reach to the point where you cannot keep three limbs in contact with the device, you need to reposition it entirely. Do not jump or skip the last few steps when descending. Although it may seem like a short distance to the ground, homeowners are usually surprised to discover how many sprained ankles and other accidents result from this maneuver. Never stand on the paint shelf or highest rung, as these are the top injury-causing activities associated with ladders. 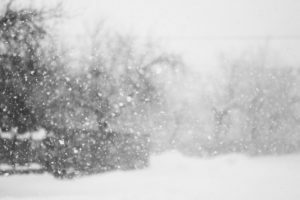 Finally, do not use any ladder in rainy, windy or snowy conditions, as such weather creates the perfect environment for an injury. Ladder accidents are unfortunately somewhat common, but when the ladder safety tips outlined above are followed, your chances of such an incident are significantly reduced. Ladders are necessary equipment for many jobs, but unfortunately, they can also be very dangerous. Ladder danger exists in a variety of occupations, but it’s also something that many homeowners face when trying to tackle various home improvement projects. Improper use can lead to serious injuries, so it’s very important to follow these ladder safety basics before you climb up. The easiest way to avoid a fall from a ladder is to simply not get up on one. Investing in a K-Guard Gutter System means that you will never have to clean your gutters again, and you will have one less reason to ever get up on a ladder and risk injury. Click here to find a local K-Guard Gutter dealer in your area. The first step is to make sure that the ladder is in good working condition. Check it over visually to see if there’s any damage to any part of it. If everything appears to be in good shape, then you can proceed to set it into position. A ladder must be set up on level ground in order to be safe. Make sure that you have a flat, stable surface that can support your weight. Placing it on soft ground, such as loose soil, stones, sand, or other uneven surfaces increases the chances of it becoming unstable. Once you have the ladder secured on level ground, you can then prepare to climb up and get to work. You always want to have either both feet and one hand, or both hands and one foot on the ladder at the same time. Stay centered in the middle of the rungs as you ascend, slowly and cautiously. Never climb up the rungs backwards, and don’t try to carry heavy tools or other equipment up with you as you go. Always maintain a forward facing position as you’re going up and coming down. Don’t use a metal ladder near exposed electrical equipment or power lines. If you can have someone spot you by remaining at the bottom of the ladder, it’s a good idea to do so. For ladders that have locks or extensions, make sure that those are engaged and secured. Falls from ladders are a common cause of injuries. Proper use can prevent you from having an accident on a ladder, so be sure to keep these important safety tips in mind the next time you’re ready to use one.